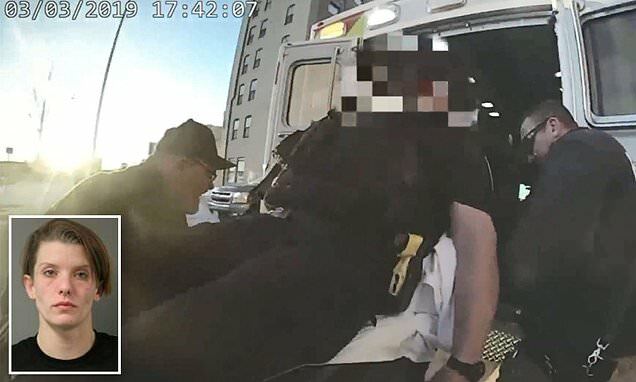 Police body camera shows the horrifying moment an Iowa officer was administered Narcan after he was exposed to drugs during a routine traffic stop. The Fort Dodge police officer - who has not been identified - had pulled over 28-year-old Kayla Potter at approximately 5pm on Sunday. Potter was taken into custody for providing false identification and driving on a suspended license, according to KCCI. During the traffic stop, the officer began feeling lightheaded and called for backup to assist him.